Run a distro or infoshop? contact us for discounts on bulk orders. Write something awesome and want to see it in print? Yeah, contact us about that too. All prices are on a sliding scale, so choose what’s right for where you’re at. For international orders, contact us so we can calculate the shipping appropriately. 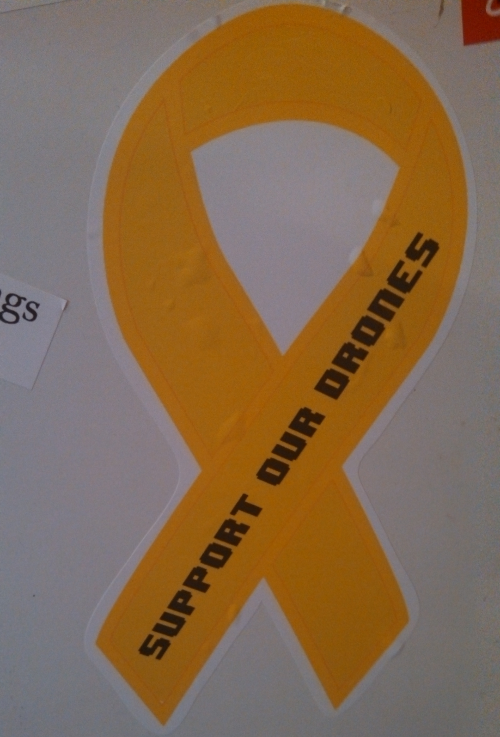 Support our brave drones with this 8″×4″ die cut awareness ribbon sticker. Just because warfare is changing, doesn’t mean that our patriotism should waver. And dye it deep in the gore he has pour’d. 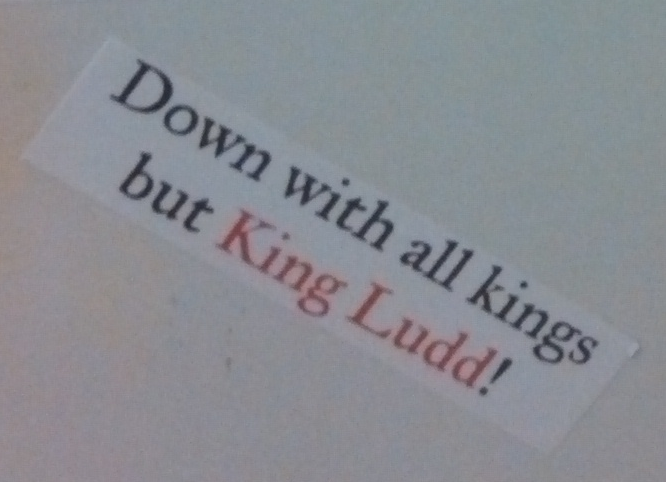 Of Liberty, planted by Ludd! What’s better than looking at a poster about how society looks at us looking at it looking at us… We’ve combined Jeremy Bentham’s panopticon, as popularized by Foucault, with Warhol’s je ne sais quoi just so you can find out. 11″ × 17″ on nice glossy stock. We’re from Lompton, home of the whine ghetto. Surrounded on three sides by an army base, a prison on the fourth, with a Wallmart in the middle, we’re damn proud to call this town home. Maybe you are too? If so then this 11″×2″ bumper sticker is for you. Giles Corey Press. Lompoc, CA. Powered by solidarity and mutual love.